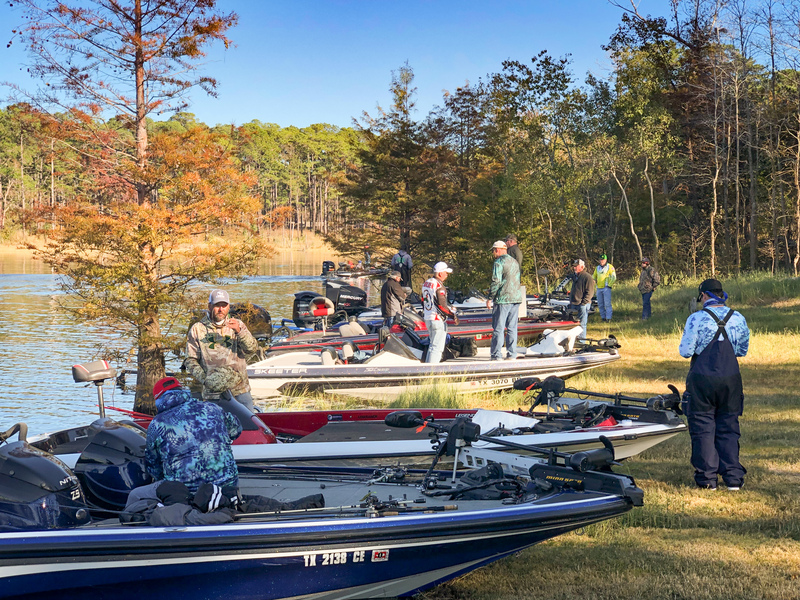 Amateur anglers compete for $1 million in prizes in Sam Rayburn big bass derby. What’s your dream retirement plan? Some folks envision themselves living on the road, traversing across America in a travel trailer. 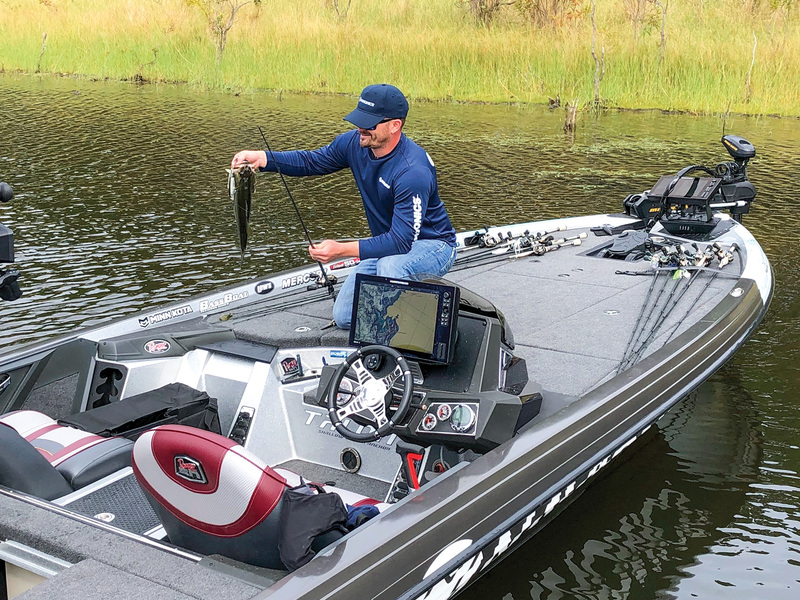 Those who fish may dream of a new pickup pulling a shiny bass boat. Sure, you can work hard, save your money and buy those things — but what if you had the chance to win all of these, just for doing what you love? 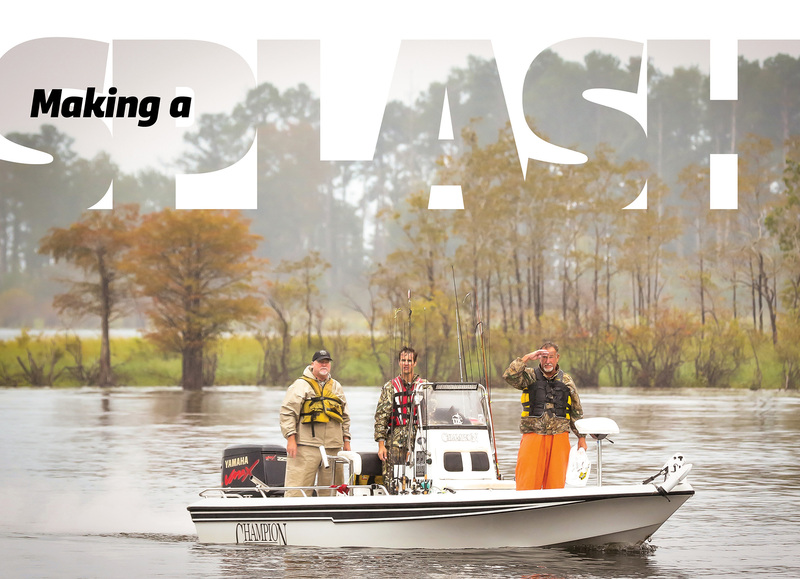 At the 35th annual Sealy Big Bass Splash on April 26-28, that dream will become reality for one lucky angler. More than $1 million in cash and prizes is up for grabs. It’s one of the best opportunities for amateurs to win big money without the long commitment of time and expense to become a professional. 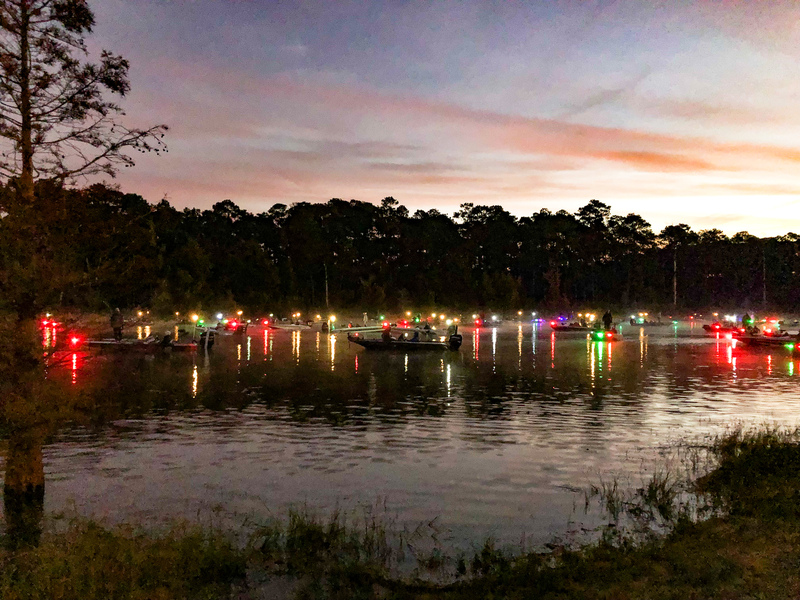 Several organizations hold big bass tournaments in Texas with substantial prizes, but the Sealy Big Bass Splash is one of the biggest and oldest. 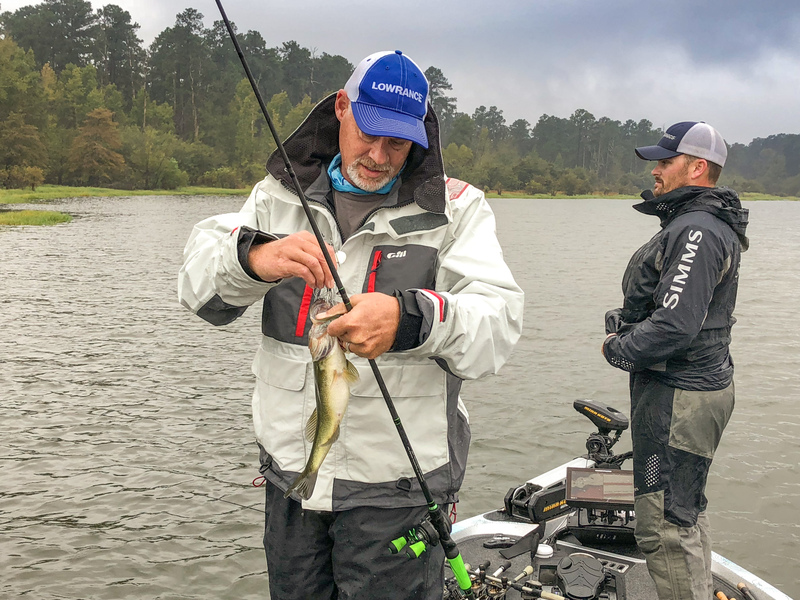 For 35 years, Sealy Outdoors in Brookeland (on the southeast end of Sam Rayburn Reservoir, north of Jasper) has held several big bass fishing derbies each year in different locations; two take place on Sam Rayburn (spring and fall). The Big Bass Splash motto is “Where Amateurs Win Like Pros.” No pro anglers or paid guides who have worked on the lake recently can enter. Nicole Sealy Bennett of Sealy Outdoors explains how the prize structure works. Imagine it: Catch one fish and win a $300,000 prize package. There are plenty of prizes to go around, even if you don’t win first place. Anglers who place second through fifth in the overall competition will win boats, trucks and other big-ticket items. Everyone entered in the event and spectators with tickets on Sunday will be eligible to win a utility task vehicle worth nearly $16,000. There are lots of innovative prizes to keep it interesting: early bird drawings, exact-weight bass (3, 4 or 5 pounds) contests, optional daily bonuses and more. At some weigh-in times, having the official event T-shirt can double your prize money. For the event’s 25th anniversary in 2009, Bob Sealy upped the ante for the tournament. Sealy always puts on a great show for participants and spectators alike. The headliner for the Saturday concert after weigh-in is Neal McCoy; other bands also perform during the event. Tackle companies and assorted vendors will have displays at the event venue, the Umphrey Family Pavilion on the south side of Sam Rayburn. There is no cost to attend the music concerts or outdoor expo exhibits. In addition to the prize money, the event provides donations to St. Jude Children’s Research Hospital. Sealy says when he first visited the hospital, he was uplifted by his experience. For his efforts, Sealy was inducted into the Bass Fishing Hall of Fame at the Wonders of Wildlife Museum that Johnny Morris of Bass Pro Shops created in Springfield, Missouri. The launch ramps can get busy at the Big Bass Splash. Sometimes you have to “weed through” smaller fish to get to a winning size. 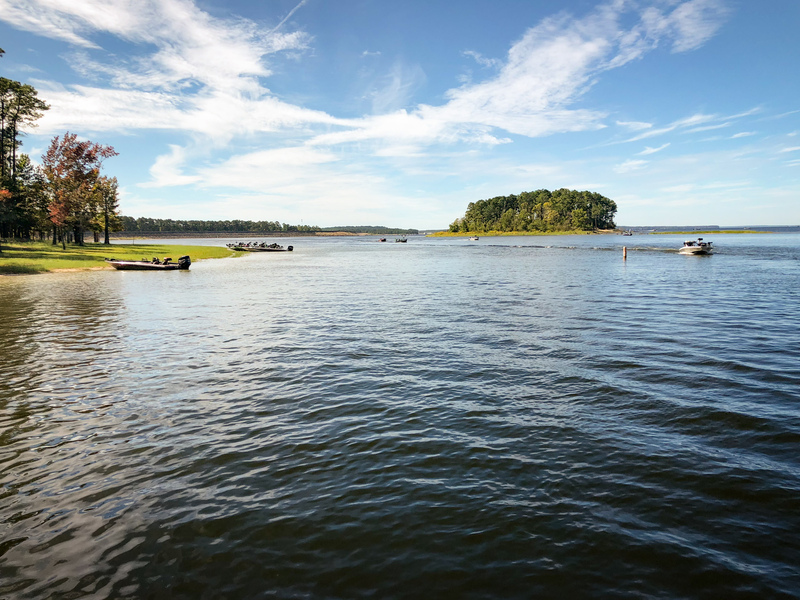 Sam Rayburn Reservoir stretches out from the docks below the Umphrey Family Pavilion. A tournament angler sizes up his catch. Before fishing the Big Bass Splash, learn as much as you can about the area by reading fishing reports and following social media posts. Get out on the lake and look for brush piles and fish-holding areas. Catching a big fish is just the start of the winning process, however. Suppose a contestant catches a bass weighing around 4 pounds. His or her first thought may be, “It’s not big enough to win.” While it probably won’t win the overall prize, it could win or place in one of the 15 hourly cash payouts, if timed right. You see, besides luck and skill, you need strategy. Once you catch a big fish, you’ll need to choose when to bring it to the scales. Some hours that 4-pounder might not win you anything, but at other times, it might. A Lufkin radio station, KICKS 105.1, produces a remote broadcast during the event to let competitors know what’s been weighed in so far, every hour. 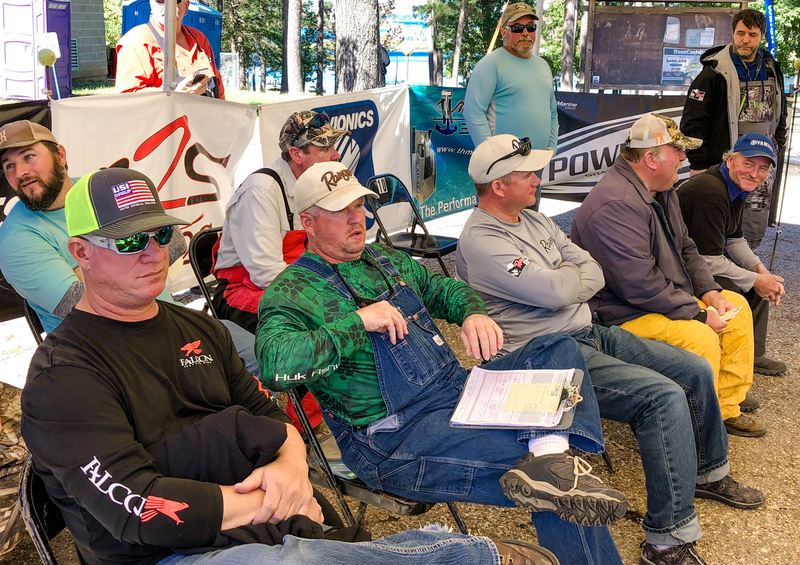 After anglers weigh in a fish heavy enough to be in line for one of the cash payouts, they sit in chairs off stage in order of fish size. When all 15 chairs are full (per hour), the last angler can get bumped by someone with a heavier bass who weighs in before the hour cuts off. Essentially, you know by your scale if you have one that weighs more. You could be in the prize money this hour with that fish, but if it doesn’t weigh enough, you can hold it until a later hour. There’s plenty of room to beach your boat below the pavilion. Fish are checked to make sure they are alive and of legal, minimum size before they are weighed. Jacob Sumrall is presented with a replica mount of his 2017 winning fish. Fish are carried in the supplied weigh-in bag. Once fish are weighed, anglers wait out the hourly results. The moment of truth arrives with the official weight. Although you may launch from any ramp on the lake or fish from shore, you’ll bring your fish to the pavilion to weigh in. 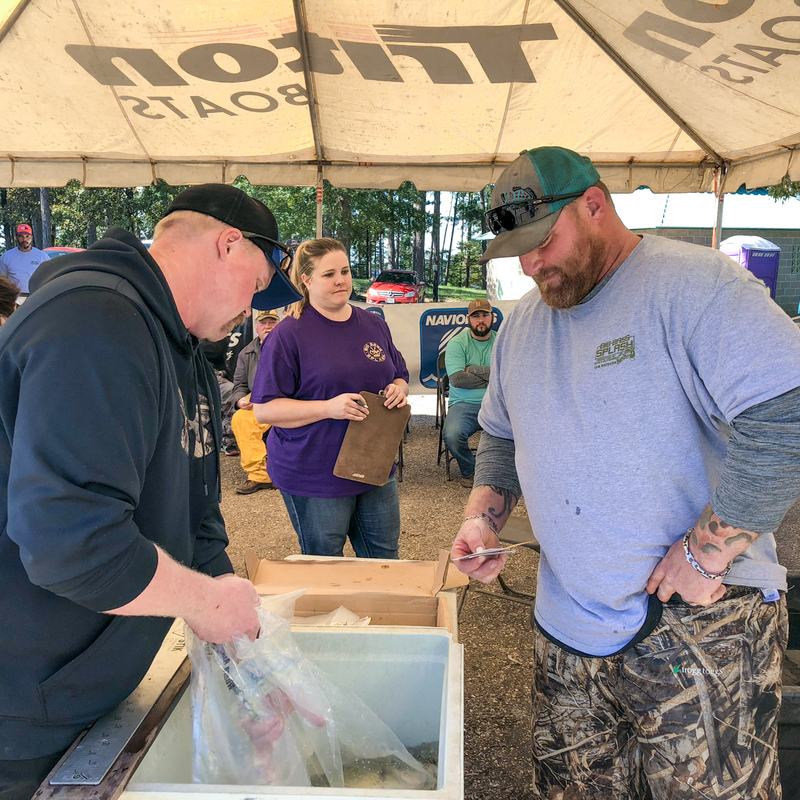 You may arrive by water or by land, but you’ll need to deliver your fish live to the weigh-in site to be eligible for prizes. Keep your bass alive in a livewell or some type of holding tank, and bring it to the check-in line in the plastic carrying bag supplied by the derby. After your fish is weighed, it will be taken to a release boat by a staff volunteer. All fish are returned to the lake alive. 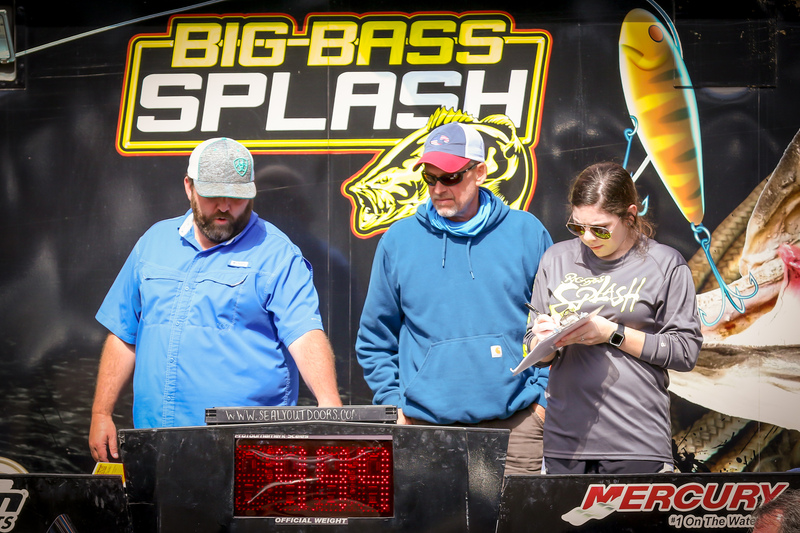 There’s no cheating or law breaking at the Big Bass Splash. “If they place, I have to do a boat check,” says staff member Danny Holland. “The boat has to be registered and have all required safety equipment and a kill switch that is operational. Each person in the boat has to have a life jacket, and they all have to be registered for the event. No alcohol is permitted in the boat, and I check for a current fishing license.” A polygraph is administered to random prize winners. 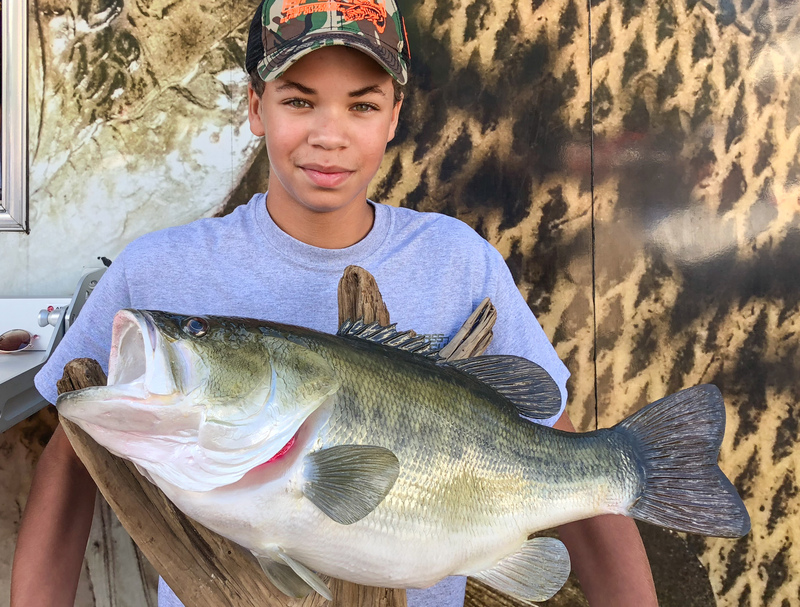 Colt Dear of Buna won the fall 2018 event with a fish weighing 7.91 pounds. He used a Texas-rigged Strike King Bull Worm in a color called plum/apple. That fish came from a brush pile in 32 feet of water. “We ran across that brush pile a few weeks ago and caught a good fish off of it, so that’s the only reason I went back to it,” Dear says. Tonja Woytasczyk of Dayton became the first female champion in 2016, with a 12.04-pound bass. Second place went to a 9.77-pounder, quite a gap. 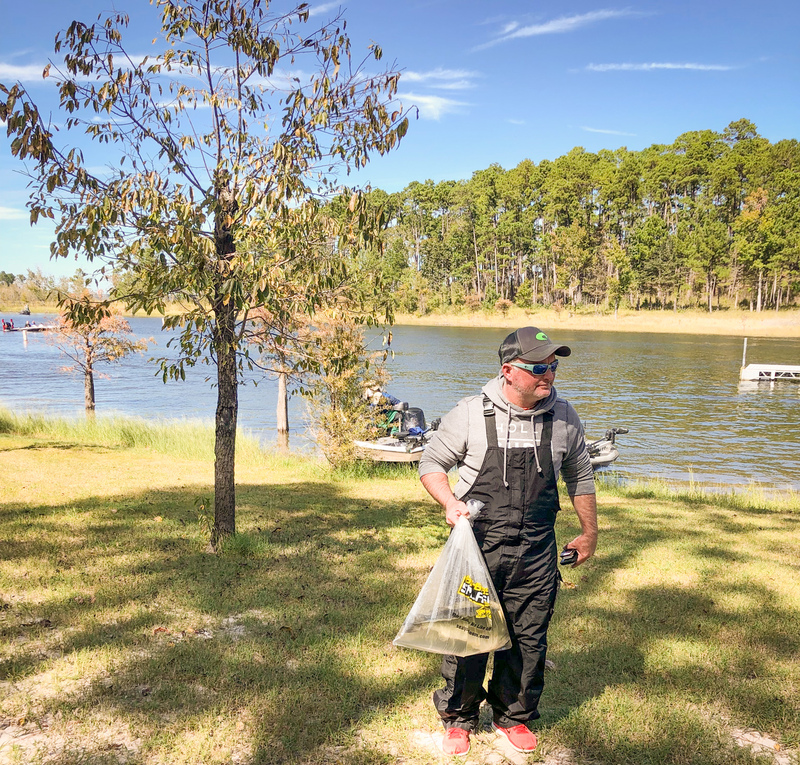 The Big Bass Splash is big business for surrounding communities with anglers and spectators providing measurable economic benefits to the area. Restaurants will be packed, and motels are booking up. If you want to fish or attend as a spectator, find more information at sealyoutdoors.com. With a little skill, luck and strategy, you could win like a pro. Randy Brudnicki has been publisher of TP&W magazine for more than 14 years.